Christmas is six short weeks away, and festive holiday party invitations are already being postmarked. We have a couple of parties to attend, and I’m looking so forward to dressing up (more on holiday dresses later!) and celebrating this special season with those who are most dear. 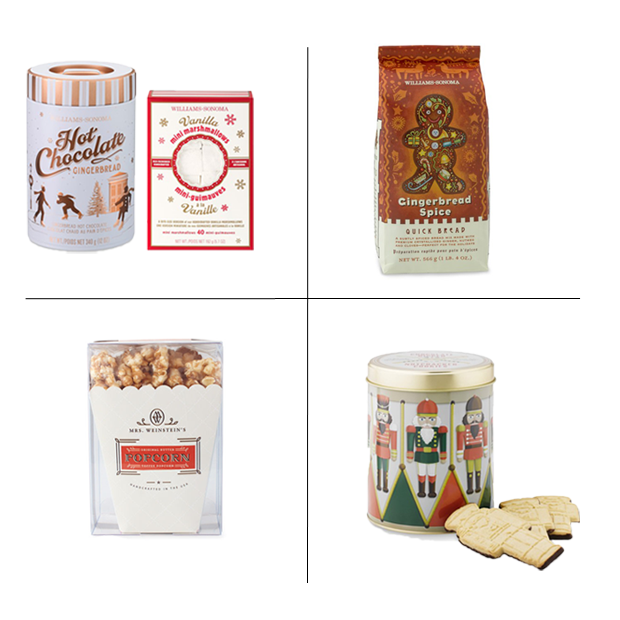 Since we all know the time-honored adage of, “Never show up empty-handed”, I created a curated selection of holiday hostess gifts. 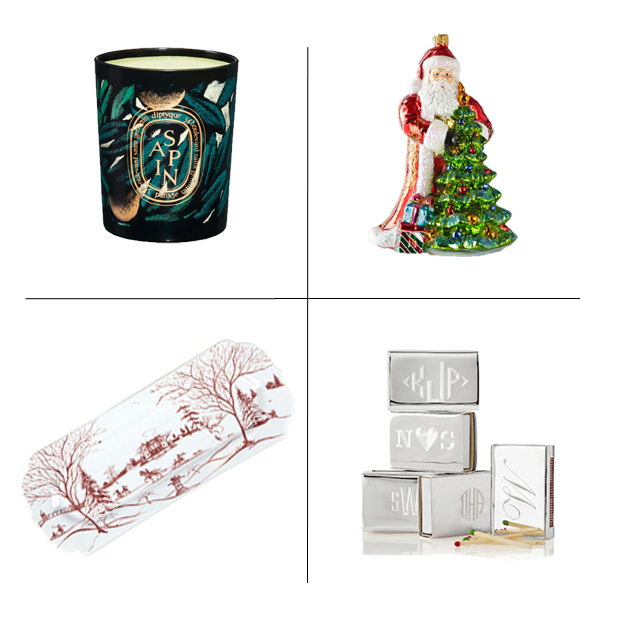 This time of year is the perfect occasion to indulge, so I included some of my favorite holiday treats – velvety hot chocolate and my personal favorite, spiced gingerbread mix – as well as some precious silver matchbox holders and an intoxicating alpine scented Diptyque candle. These napkin rings are also fabulous for the hostess who loves to throw dinner parties, and these coasters are so clever and cute. Enjoy!